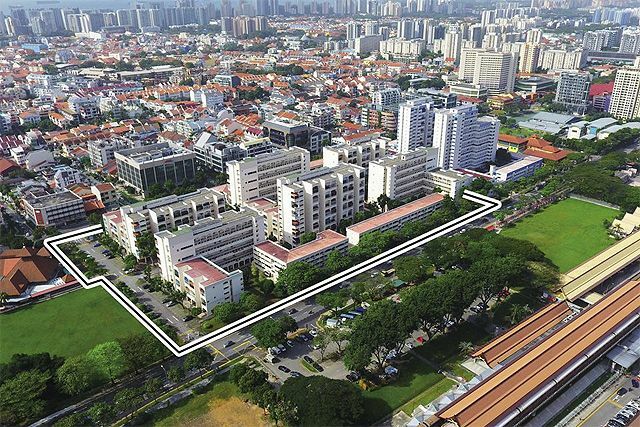 MCL Land has acquired the site of former HUDC estate, Eunosville (today is known as Parc Esta) through a collective sale for a staggering $765.78 million – which is the 3rd biggest en bloc sale in Singapore. Definitely not a newcomer in the Singapore’s property market scene, MCL Land has already made their significantly in the Jurong region with successful launches and sales with their new launch condo projects for the last 4 years – J Gateway, Lakeville, Lake Grande and their most recent project in the pipeline – Margaret Ville. The en bloc sale of Eunosville marks the 4th collective sale in 2017, followed by successful acquisitions of One Tree Hill Gardens, another former HUDC Rio Casa and Goh & Goh Building along Bukit Timah Road. All these 3 deals took place in May 2017, which adds on the collective sale Eunosville for a total amount of slightly over $1.5 billion. This has surpassed the 3 en bloc deals in 2016 – Shunfu Ville at Marymount, Raintree Gardens at Potong Pasir and Harbour View at West Coast, which chalked up a total of slightly more than $1 billion. The land price of Eunosville’s site works out to be approximately $909 per square foot per plot ratio (psf ppr), which includes an estimated fee of $194 million to be made payable to the state for enhancing the site’s intensity to a gross plot ratio of 2.8 and topping up the existing lease (which has a balance of 71 years) back to a fresh 99-year. The 376,713-sqft site is located just opposite the Eunos MRT Station, with a wide frontage along both Sims Avenue and Changi Road, and could possibly yield up to 1,399 homes (based on average size of 70 sq meters). When the 330-unit Eunosville was put up for collective sale back in April 2017, the asking price for the former HUDC was between the range of $643 million to $653 million (or $780 to $790 psf ppr). The selling price has way surpassed the market’s expectation and each owner at Eunosville will stand to receive an estimated payout between $2.25 million to $2.41 million. The tender was understood to have drawn a total of 8 bids from property developers and analysts have attributed the strong interest to the site’s excellent location and is just less than 100m to the MRT Station. On top of that, the recent new launch sales have also seen significant improvement, and property developers are actively seeking to make land acquisitions in order to position themselves strategically for a market recovery. It was also added by market watchers that more en bloc sales are expected to be launched this year – including the likes of Boon Teck Tower and Kemaman Point (both located in Balestier), Cavenagh Gardens (next to the Istana) and Amber Park. Although it may seem easy to get the minimum 80% consent from homeowners of these dated projects, there will still be a challenge to sell some of them to property developers and it will be pretty much determined by the announcement of the 2H 2017 Government Land Sales (GLS) Programme. If the supply of land is being increased in the GLS programme, property developers are likely to divert their attention to direct land acquisitions instead of going for collective sales as it’s more efficient and straightforward.